As the President of The Private Trust Company, N.A., Bethany Bryant is responsible for setting strategic direction for the management, financial success of the company, service, satisfaction, retention and recruitment of the firm’s clients and advisors. Bethany was a founding employee of the company in 1995 and served as its CFO/Operations Officer until May 2012. She has guided the company’s growth from startup through its acquisition by LPL Financial Holdings, Inc. in 2003, to its current level of success. Prior to starting PTC, Bethany began her career as an auditor at Ernst & Young, spending the majority of that time auditing in the financial institution industry. She holds a C.P.A. and earned her undergraduate degree from Bowling Green State University as well as an MBA from Cleveland State University. 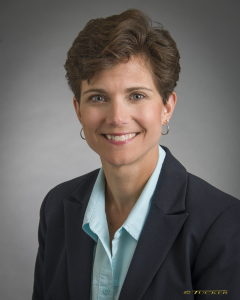 She is currently a member of the Ohio Society of CPAs, the Cleveland Estate Planning Council, the Union Club of Cleveland, and several advisory groups. Bethany maintains an active involvement in the nonprofit community. She has served as president, board chair or volunteer of several organizations or committees including Rejoice Lutheran Church Council, Lutheran Metropolitan Ministries Homeless Shelter, Junior Achievement, American Cancer Society Relay for Life, Girl Scouts, and Laurel School for Girls. Bethany resides in Twinsburg, Ohio, a suburb of Cleveland with her husband and two children. She spends her family time enjoying her children’s activities as well as camping, cooking, scrapbooking, biking and reading.